Teen Screen – All or none? A provocative article in this past week’s Wall Street Journal (WSJ) nicely outlined the arguments for and against screening all adolescents for depression (Should all teens be screened for depression? on.wsj.com/1XryPKw). 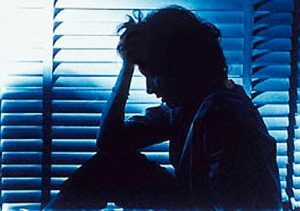 Screening is a set of questions designed to draw attention to worrisome symptoms that are suggestive of depression; it does not make or confirm the diagnosis. That requires further detailed evaluation by a skilled clinician. Depression in the teenage years is fairly common. The results of a 2014 National Survey on Drug Use and Health (by SAMHSA, the Substance Abuse and Mental Health Services Administration) reported that 11.4% of adolescents aged 12-17 years, or 2.8 million adolescents, had a Major Depressive Episode during the past year. These percentages are on the rise and were higher in 2014 than for the years 2004-2012. The most severe form of depression can lead someone to consider suicide, a psychiatric emergency. Suicide is usually an impulsive act in a troubled person who sees no way to change his or her painful circumstances. Suicide claims approximately 41,000 lives each year in the United States (National Institute of Mental Health, 2015) and is the third leading cause of death in those aged 10-14 (Centers for Disease Control, 2015). Among students in grades 9-12 in the U.S. during 2013, 17% seriously considered suicide and 8% attempted suicide one or more times during the previous 12 months (CDC, 2015). One main problem is that depression in adolescents can be difficult to identify and diagnose. Teens often have a tough time articulating their feelings, emotional pain and suffering, and can act impulsively. They can experience ups and downs with a roller-coaster of emotions, pressure from peers and school, and fluctuations in their hormone levels that in turn can affect mood. They may not like to talk openly to adults or authority figures about these things. It can also be hard for teens and their health care providers to tell the difference between normal sadness, the turmoil of adolescence and symptoms of depression. In the WSJ article, the pro side for screening was provided by Richard J. Chung MD, assistant professor of pediatrics and medicine at Duke University School of Medicine. He states that screening for depression during adolescence would enable health care providers to catch problems and start treatment early. He goes on to say that if done in the right way, it would be of great benefit to teens. The U.S. Preventive Services Task Force (Feb 2016) and the American Academy of Pediatrics (Feb 2014) each have included depression screening for adolescents as part of their preventive health guidelines. The opposing view was presented by Allen Frances MD, professor and chairman emeritus of the department of psychiatry and behavioral sciences at Duke School of Medicine. He argues that screening may lead to over-diagnosis, overtreatment and may do more harm than good. He is concerned that, if over-diagnosed, the stigma of a mental illness diagnosis can be very difficult for the teen to live with. It can negatively affect the way the teen thinks of himself and others think of him. Frances suggests that in reality, there are limitations and unintended consequences to our current health care system. He argues that physicians in pediatrics and primary care who would be doing the screening evaluations often do not have the time or advanced training in psychiatry required to accurately distinguish depression from other diagnoses, and may be quick to over-prescribe antidepressant medications. This gives us quite a lot to think about. The risk of screening everyone may be to possibly over-diagnose, falsely label and over-treat those who do not need it. The risk of not screening may be to miss some of those who have depression, to under-diagnose and under-treat those who really do need it. How do we best take care of our children? Research and experience has shown us that the longer an episode of depression goes untreated, the more difficult it is to treat. In reviewing this topic, I have found that the trend for experts’ recommendation is to do careful depression screening followed by a thorough evaluation and treatment if necessary. Not all teens with depression need to be on medication; often times talk therapy is sufficient. This blog was originally posted on Psychology Today online in View From the Mist.